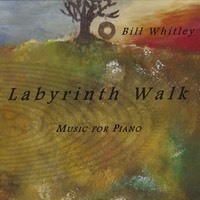 Composer/Pianist Bill Whitley's music is subtle, delicate and unassuming. Labyrinth Walk: Music for Solo Piano is a collection of his earliest notated works, which represent the first seven years of his life as a composer (1987-1994), and illustrate consistency with later works. Music written since has continued this trend of contemplative understatement. A Labyrinth Walk is the ancient practice of "Circling to the Center" by walking a labyrinth. Labyrinths have been used for over 4000 years as a tool for clearing and centering the mind. Their basic design is fundamental to nature and many cultures and religious traditions. Some of these piano works where written to evoke a similar experience, most notably, the title track. While "Labyrinth Walk" evokes the contemplative mood of a labyrinth walk, it is also designed like a labyrinth walk: the music moves precisely in recurring patterns towards a center, and returns. 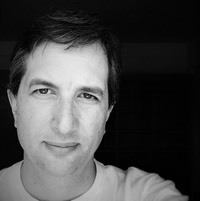 Other tracks, such as "Still Life", urge the listener to 'absorb the moment'.